In 2013, digital marketing and firm executives are thinking about building their internal teams to provide more continuity and scale. Transform the Enterprise also focuses on the right side of the Social Business Life Cycle, specifically on Scale and Integrate. At this point, the enterprise usually has a panoply of social business or social media resources that it wants to knit together into a cohesive team, but according to emerging, networked organization, not hierarchal. Transform the Enterprise is the five-part social business team building series The series describes team building in the context of various scenarios in which firms build social business capability, step by step, while investing wisely. Social Business Strategy Use Cases outlines and compares all five use cases while Social Business Team Building gives general guidance for how to create social business teams as well as recommendations for what characteristics leaders have, so I recommend reading them, too. Of course, social business enterprise transformation is a complex process that involves myriad variables and multiple engagements, so please consider these points as general observations and recommendations. If you have questions or would like more detail, please use comments or contact me. Like Herd the Cats, Transform the Enterprise’s purpose is to create an enterprise layer of social business value, but its focus is at the corporate strategy level. Herd the Cats gives the enterprise its own interactions in social venues that are distinct from those of its brands/businesses. Its interactions may address: profit contribution, “corporate values,” communities around offices or plants, health or environmental concerns or even policy or government issues. Herd the Cats also usually involves building a Social Business Competency Team iteratively, where Transform the Enterprise formalizes social business competencies at a higher level and knits various teams together. Transform the Enterprise is more market-focused, but from the corporate strategy perspective. In this case, corporate strategy calls for realigning the enterprise with its markets in some way, so social business supports that goal. Of course, the way in which all the moving parts fit together varies considerably with circumstance and culture. In all cases, the enterprise wants to leverage social business’s strategic value to test, validate and execute key aspects of corporate strategy as a function of evolving relationships with stakeholders. It may well mean engaging new stakeholders to test proposed value propositions. In most cases, the enterprise has already gained experience with digital social initiatives and has developed some social business good practices that it has begun to share across businesses/brands. If the enterprise has relatively little direct (i.e. in-house) social business experience, it would start with another use case or create a hybrid. The enterprise’s businesses/brands often have a patchwork of social media resources. 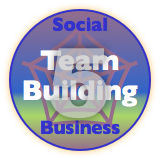 In Transform the Enterprise, the team building focus is leveraging enterprise social business people resources by collaborating with business/brand teams to improve social business performance—in support of corporate strategy. A common example is mentoring social media teams to relate to stakeholders and boost engagement through interaction with key stakeholders, not content. Unlike other team building scenarios, Transform the Enterprise usually hires a small group of high-octane people before pilots kick off. The enterprise intends to invest significantly in social business, and the board has hired a CDO with a mission and budget for enterprise transformation. That said, I recommend that the CDO avoid unnecessary “large-scale” initiatives in favor of agile management (as small and flexible as feasible, scaling by iteration). Since profound enterprise change is its primary distinguishing feature, Transform the Enterprise usually requires a CDO or equivalent. Although it’s an emerging position, the CDO is a “C” position because it requires the authority to interact with enterprise chief executives as an equal, the ability to act strategically and to make optimal decisions at the highest level. More important than the title is the level of recognized authority by the champion of Transform the Enterprise (usually the CEO or Board of Directors). To understand the context of the CDO and Transform the Enterprise, reflect on what it would mean to transform all communications and workstreams, within the enterprise and without. Social business drastically reduces the costs of communicating and collaborating. It’s a gut rahab that minimizes negative impact on core business processes even while it transforms many of them. That’s why it requires a CDO role. The CDO will organize a team to conduct Feasibility and Strategy, which will specify how the enterprise can relate to people who matter most to its existing businesses, brand portfolio or a proposed merger or acquisition. Few enterprises have advanced social business expertise in-house, so the CDO will engage one or more external partners who lead Feasibility and Strategy. The partner(s) should focus on mentoring the CDO team during the engagement. Strategy will specify pilots that test, validate, iterate and reject market propositions by engaging and building collaborative relationships with key enterprise stakeholders. See this report on how to select a social business advisory firm. Conduct Feasibility and Strategy in the corporate strategy context; unlike Herd the Cats, this can include proposed as well as existing business concepts. For example, it can test social business adoption in adjacent markets to the enterprise’s existing businesses’. Launch the SBCT with 2-3 experienced social business staff; it is often seeded with external consulting resources because in-house resources are usually oriented to social media and do not understand business transformation, especially by using social technologies and business processes. The SBCT writes its charter and contributor documents (Champion, Manager, Contributors). Launch a virtual collaboration space right away or concurrently with the first pilot. Make sure to select software with robust data export capabilities, so if you subsequently select another one, your data is portable. I often use WordPress; many people are familiar with it, it exports in xML, it’s free and its pages, posts and plugins give you extensive flexibility, especially when you host it yourself (i.e. not wordpress.com). Do not automatically select an “enterprise collaboration” package with an existing vendor unless you have used it successfully for collaboration among volunteer team members whose jobs are not to use the package. In most cases, make sure the package has excellent mobile functionality because it decreases the cost of collaboration. Create the first iterations of the SBCT’s training and certification programs that will be used and iterated during pilots. Organize them in the collaboration space. Include templates for pilot charters and contributor role definitions. Review social business policies and guidelines in high-impact businesses/brands, and recommend redoing those that are too one-sided, restrictive and paternalistic. Only propose policy reviews with businesses that showed high potential in Feasibility. See Herd the Cats for more detail on this (Prepare/Steps). Rapidly evolving a brand or business from product/service focus to post-product relationships with their markets, which requires rethinking all phases of product management and customer management life cycles. Proposed merger or acquisition to build a new capability to address key markets; corporate strategy and market research have concluded that the acquisition could make the brand/business more relevant to key stakeholders, but the SBCT runs one or more pilots to test the value proposition in the context of stakeholder outcomes, adding intelligence to pre-merger/acquisition due diligence. This can predict which high-value clients will tend to leave due to the merger, so the enterprise can address before the transaction is announced. Involving stakeholders in product/service innovation; this scenario creates far more value than “product innovation” efforts practiced by most brands because it focuses on stakeholder outcomes, not products/services. Market entry into new geographies and cultures with which the enterprise has not yet had direct experience. See The Global Social Channel: How to Compete Globally. Transforming cost-managed customer service into profit-managed marketing/new revenue. Its first stage is redeploying select customer service processes in public where the brand creates a collaborative community to resolve customer challenges. In the second stage, it republishes challenges and resolutions, commingling with product information. Designing/launching a B2B client community. Business bankers/insurers/etc. operate in the same ilk as professional services “trusted advisors,” but they operate in the dark ages. Business banks can add more value and create unprecedented stickiness by launching trusted online communities in which clients can help each other, efficiently facilitated by bank experts. They can do this in a surprising way. Designing/launching a bank branch client coworking space. Bank branches are headed for disruption as they are expensive street presences with high employment costs, and most are oriented to core bank transactions. This scenario launches social network-enabled work and collaboration spaces high-value mobile business and consumer clients and prospects. For other examples, see Social Business Models. The CDO will choose a vice president/managing director level social business leader who has as many of these characteristics as possible to head the SBCT. The SBCT will scope and launch pilots that test various proposed corporate strategy initiatives; when a pilot involves a proposed business that’s not currently addressed by an existing enterprise brand, the SBCT runs it themselves. When pilots do involve existing enterprise businesses/brands, the SBCT will collaborate with/mentor their social business team(s). The SBCT often helps businesses to “take back social media” initiatives that they had outsourced to agencies in order to increase quality of interaction and collaboration with stakeholders as well as to develop internal competency. Nike is a current example. The SBCT will mentor businesses in the two phrases of Strategy, the Ecosystem Audit and the Organization Audit (see below). The SBCT’s supports business/brand social business teams in executing successful pilots. It takes the lead in gathering Social Business Competencies (SBCs), training/mentoring other teams and engaging brand teams in the virtual collaboration space. The SBCT runs sensitive pilots, often in stealth. They hire external consultancies to execute initiatives that are too sensitive or difficult to cloak, but consultants collaborate with the SBCT behind the firewall. Shifts in corporate strategy increase risk and reward, but social business can significantly reduce risk by “pre-testing” stakeholder-oriented assumptions, based on real, in-context interactions with stakeholders. Since social business focuses on stakeholder-to-stakeholder interactions, its insights are usually more “true” than are surveys or interviews in which the enterprise or a proxy asks stakeholders explicit questions. Stakeholder-to-stakeholder interactions are rich in implicit knowledge and they add powerful value to other due diligence. The CDO will be a pivotal role during the next ten years, but demand will spike in 2015-16 because the need for explicit enterprise transformation is immense. In the fading Industrial Economy, enterprises were more competitive when they focused on themselves, their back office, which was possible because customers/stakeholders were invisible. In the rising Knowledge Economy, a world-beating back-house is table stakes, and differentiation is front-house, in the Social Channel. This is the root of the profound, global business, culture and societal change that the world is experiencing. Successful CDOs will make this shift actionable at the enterprise level. I recommend doing social business strategy in two stages: the first, the Ecosystem Audit, is externally focused. Be careful here; social media monitoring platforms are very immature and not focused on user outcomes (even though they have pretty charts), so this goes far beyond a few Radian6 reports. For best results, identify the optimal social venues in which to interact; I define this as your doing less talking in favor of facilitating others’ conversations. Interacting in these venues increase your efficiency, performance and ROI. The best analogy for the SBCT is “social enterprise architecture team.” In most organizations, the SBCT plays a mentor/diplomat/champion role with the much larger social business teams within the enterprise portfolio. Most businesses will choose to execute a large portion of their social business initiatives in-house, once they learn the importance of collaborative relationships with key stakeholders, and the outsourced social media/agency model will fade—unless agencies develop centers of excellence grounded in intense domain knowledge. The puck is moving from “content” to interaction, which makes outsourcing less attractive.